It’s been a bit of a quiet week on the Blog this week – mainly because I have been in London on a business trip, so not much time for fun craftiness! However I was pleasantly suprised to discover a super cute little craft shop – the Millets Craft Shack – today near my parents’ house where we are staying for the weekend! Mum and I couldn’t resist going in for a look and we were amazed to find a treasure trove of fabrics, sewing and knitting supplies! 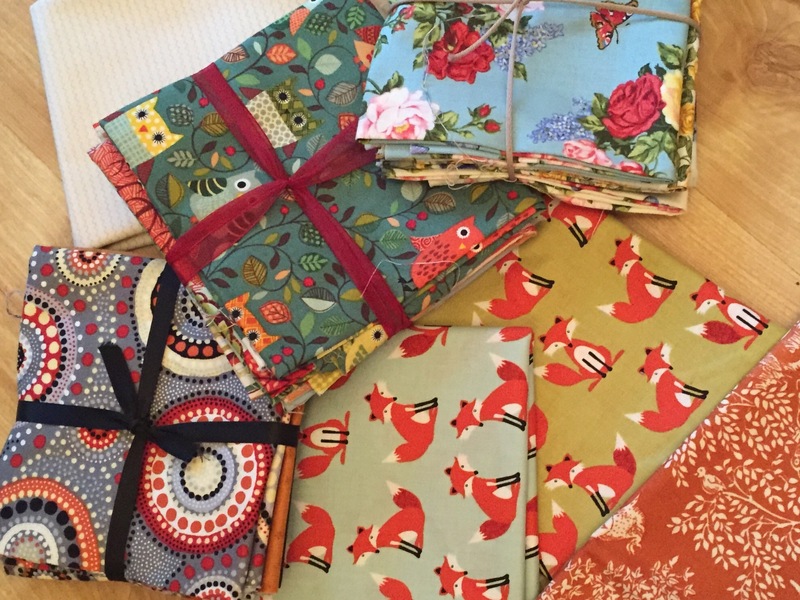 My excitement resulted in some serious stash expansion – the fabrics were just so cute! I am particularly excited by this woodland print. It really makes me think of the countryside where I grew up, so seemed like a great souvenir purchase from my trip home. I only managed to bag a remnant (although only £2 woop woop!) so I think this is destined to become a cushion of some sort. Clearly not a cushion to match the vespa cushions – that would be a horrible clash – but maybe a cushion for my sewing chair? The fabric just makes me so smiley! 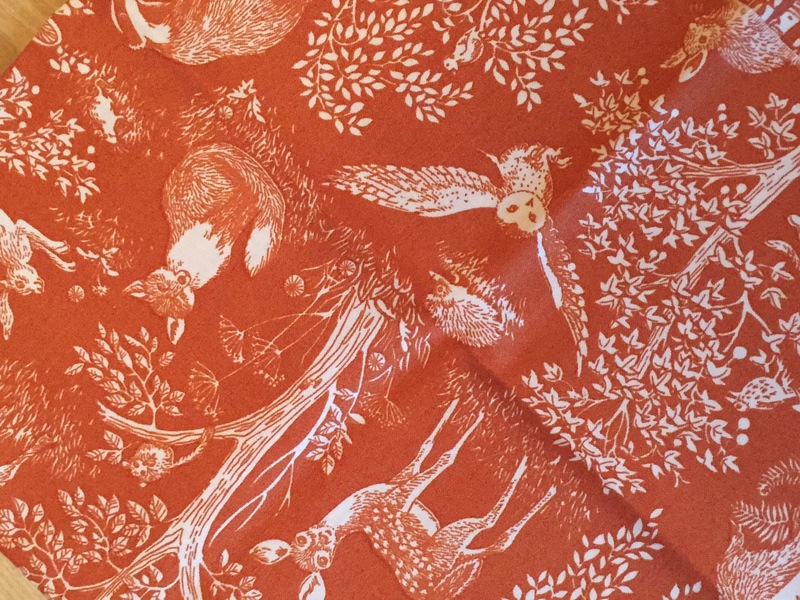 The woodland theme continued with the purchase of some foxy print and those gorgeous owls! PB is not a great lover of my like for owl things so I may need to sneak that one by him! I’m wondering if it is the torrential rain here in England that has made me so excited to buy the lovely autumnal colours – teal blues, oranges and brown. 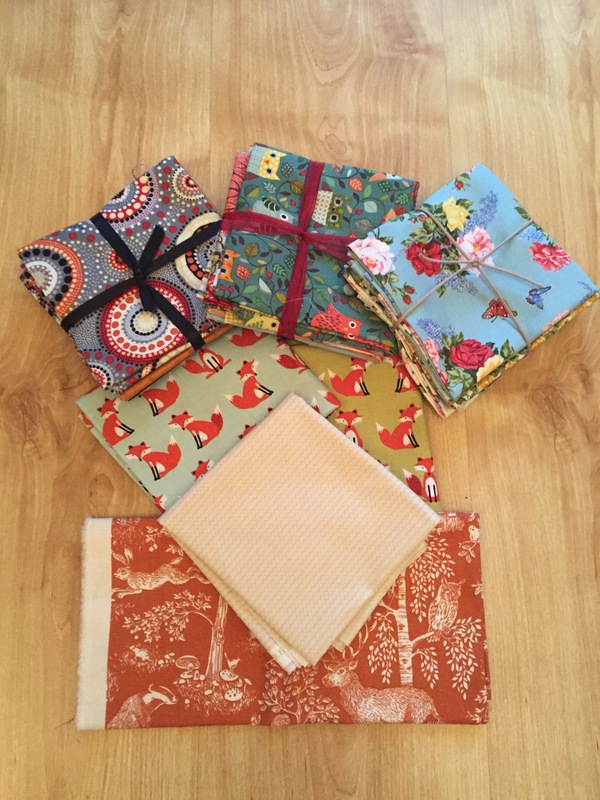 They are destined to become make up bags, soft toys or maybe even a lovely autumnal themed patchwork blanket to go with my woodland cushion … I’m not quite sure yet, but I know they will be lovely! Now I am having trouble deciding what my next sewing project will be … maybe it’s finally time for Sorbetto – let’s see how I feel when I get home! Have you expanded you fabric stash recently? What do you do with cute printed cottons? I’d love to hear your project ideas! Love that foxy print ❤ I’m off to my local craft shop this weekend to expand my stash… I can’t wait! Oh nothing like a stash growing trip!! So much fun! I really need to increase my stash with more clothing appropriate fabric, but I just cant resist a cute print!Have fun with your shop – looking forward to hearing what you buy!! That fabric looks so pretty! Browsing that website now, so dangerous. Haha tell me about it! They just have such sweet stuff! And reasonably priced too! Happy shopping!! Thanks for the heads up about Millets craft shack. How funny! It’s also really near my Mums!!!! Must check it out next time I visit. I remember going to Millets farm as a kid strawberry picking, we had to go through Kingston Bagpuize which always made me laugh as it sounds like the posh cousin of Bagpuss. Fab blog thanks for making me smile this evening.